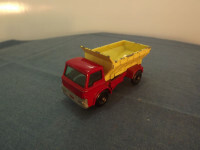 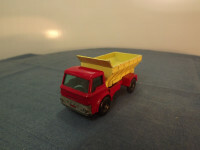 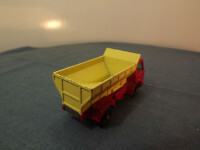 This is the Lesney produced Matchbox MB70-B-4 Ford Grit Spreader in Red and Pale Lemon with grey slider. Base Fitting: 1 body locating lug and 1 machined rivet at front holding base and 1 machined rivet at rear holding hopper. 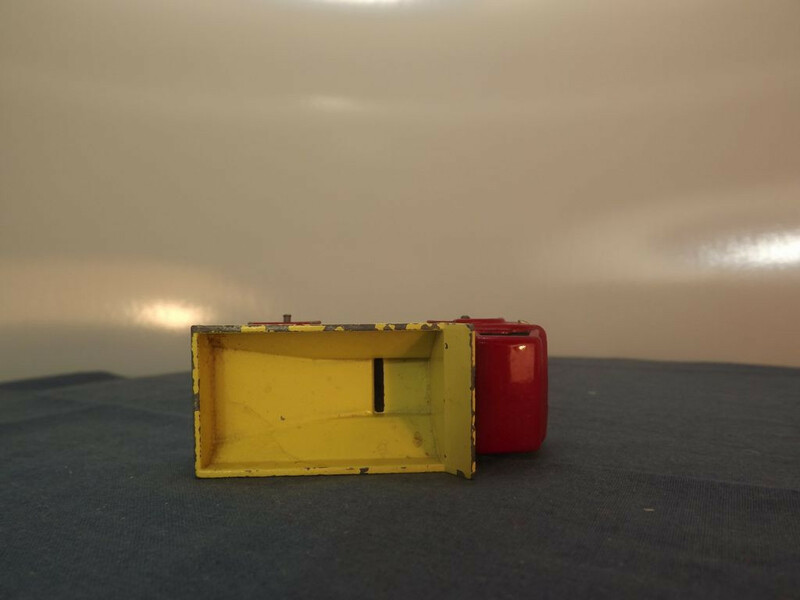 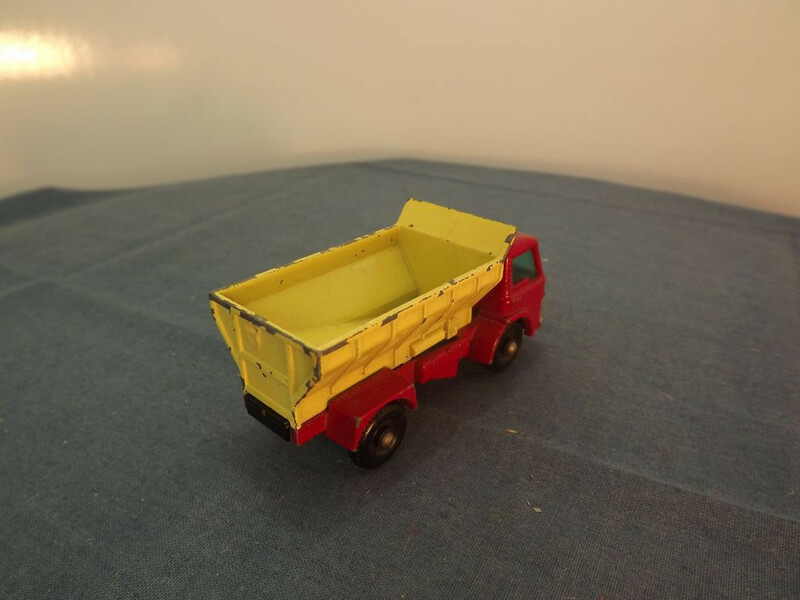 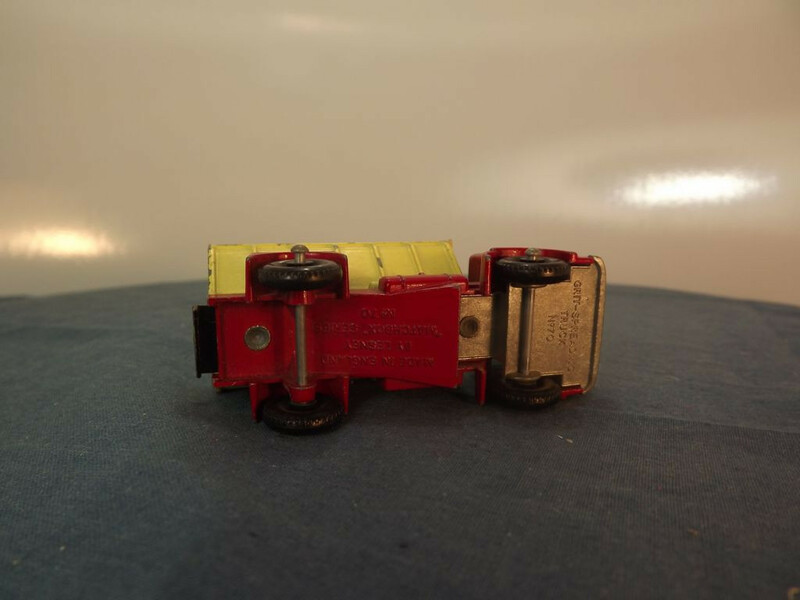 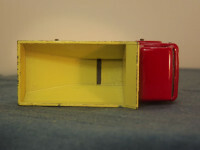 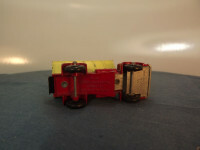 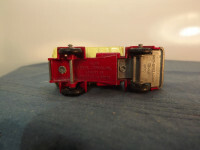 This is the Lesney produced Matchbox MB70-B-8 Ford Grit Spreader in Red and Pale Lemon with black slider.